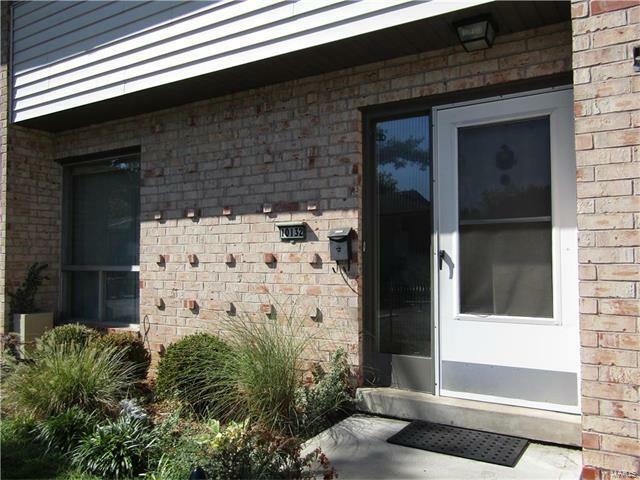 A nice large three bedroom condo with three floor levels. .....Upper level - three bedrooms and a bathroom. The master bedroom has a large private dressing and vanity area. .....Main level - family living room, half bathroom, kitchen and dining areas .....Lower level - somewhat finished with a laundry area The kitchen/dining area looks out to a nice patio surrounded with a privacy fence and landscaping. The condo is a must see and must have. It is ready for the next owners' touches. Come See. 270 East to Tesson Ferry...make left onto Tesson Ferry. Before coming to Lindbergh look left for the "Sakura Gardens Complex" signage on your left. Make a left & pass swim pool. You will see the condo down the way on your left.